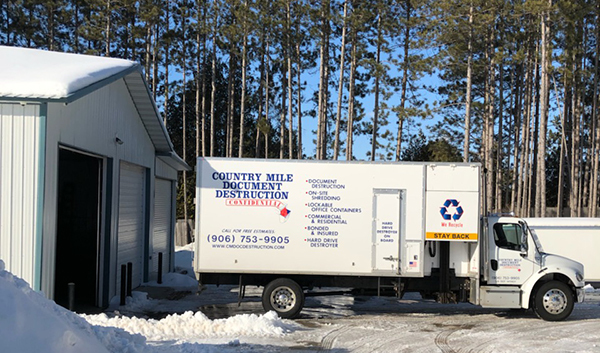 Country Mile Document Destruction was established in 2001, covering Michigan’s Upper Peninsula and now parts of Wisconsin. Our company is privately owned and operated. We have earned our clients trust by carefully attending to their security needs, by providing a valued service when handling the destruction of their confidential materials. Here are some of the machines that we use. At Country Mile Document Destruction we continually upgrade and update our trucks and shredding machines. 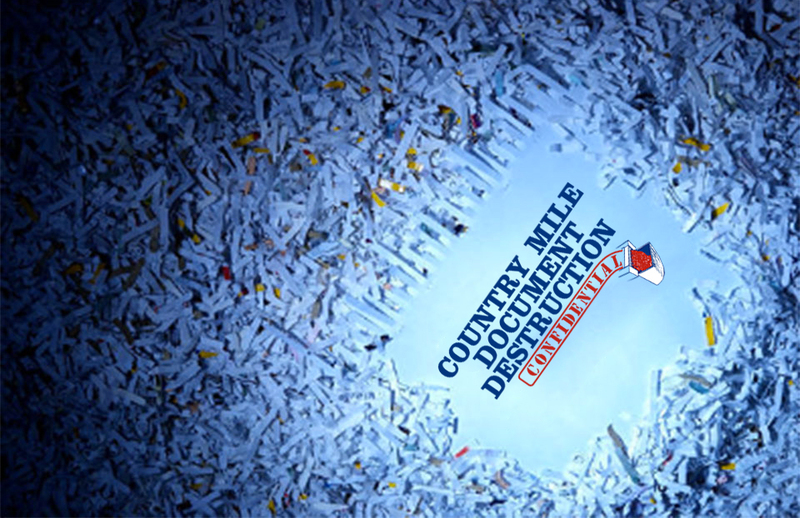 Country Mile Document Destruction is bonded and insured for your protection. 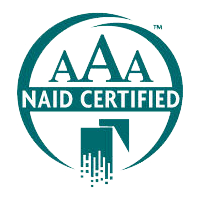 We provide services for residential, commercial, financial, and medical destruction needs. There is no job too big or too small! You will receive a Certificate of Destruction from us. After all data has been destroyed, Country Mile Document Destruction Inc. recycles the paper residue. ©Copyright Protected. All Rights Reserved.